Toptal professionals in the Koh Lanta area, you’re invited to join your community for dinner and an in-depth discussion on strategies we use to make our lives more enjoyable, productive, and meaningful. That’s right: it’s time to compare life hacks. Thailand is a popular country for digital nomads and other travelers, as well as for remote professionals. Where better to discuss how to design your life on your terms, than among some of the people who arguably have been most successful at it? This is also an opportunity to connect the Toptal community in the area. Our goal is to get to know one another and deepen relationships, while we share expertise and experiences. 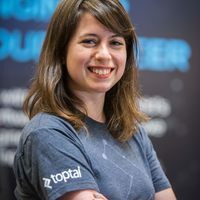 The dinner will be hosted by Asia Lindsay, Toptal’s Regional Lead for Western Europe, and a highly experienced world traveler. Several long-time Toptalers will be present. We hope you’ll join. Attendance is extremely limited. Please contact Asia using the form on this page for more information.